Map It! 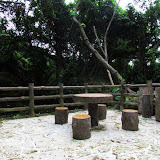 Okinawa: "Sueyoshi Forest Park in Naha City"
If you love exploring and being around nature, then you're really gonna love this place. This is Sueyoshi Park. I call it the Sueyoshi Forest Park, and when you get there you will know why. 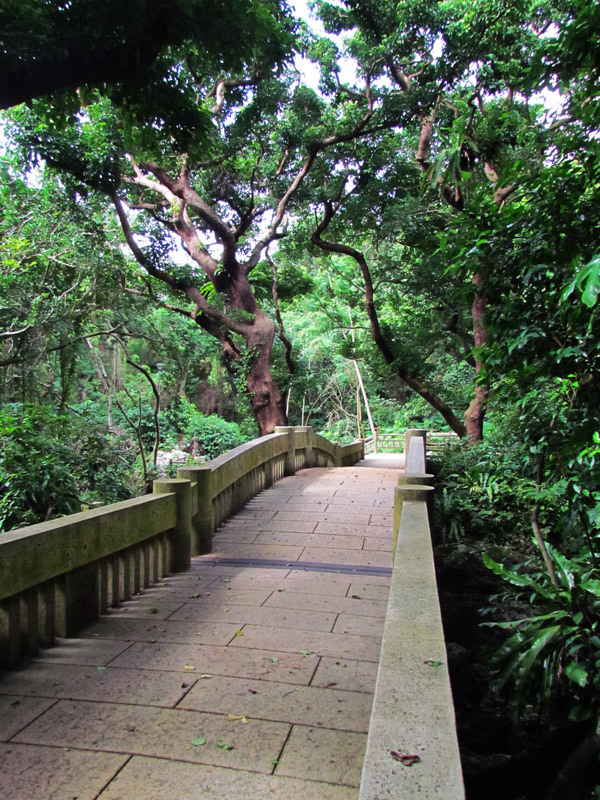 Just like Kin has its 'Hidden Nature Trail', another very inconspicuous, but much larger park lies in the southern part of Okinawa, and of all unexpected places, this one lies in Naha City. There are three main parts to Sueyoshi Park. The first part is the forest park itself, the second part is the grave of Ginowan Udun and the last part is the Sueyoshi Shrine.The latter two parts I will cover in two separate post. I won't talk much about the forest park itself cause words can't replace the actual experience. You will have to see for yourself. You can peruse through the photo album to get an idea of what to expect. Be prepared to do a lot of walking. In this post, I want to cover how to get there, since that will probably be the most difficult part to this venture. Places of interest nearby: The Sueyoshi Shrine, The Tomb of Ginowan Udun. What to bring. Plenty of water, mosquito repellent, hat for shade, umbrella for rain and to remove spider webs, camera, snacks or a bento box, a small sweat towel. Caution. The trails to the Tomb of Ginowan Udun and the Sueyoshi Shrine are pretty much beaten down, however if you venture off to see the shrine you will see some other unbeaten paths along the way. I don't recommend going on them. If you can't see your feet within a 3 foot radius as you are walking then it is not worth it. The obvious danger is snakes. Over time, hopefully a trail maintenance crew will tear away some of the vegetation on some of these paths. Please follow the instructions below and the study the Map Icons above carefully. If you don't read the instructions you may skip past one of the major highways without realizing it. 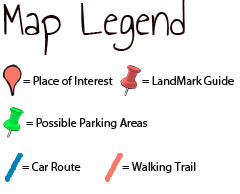 Also, please note that depending where you park you may be required to do a lot of walking... up and down hills. Thanks for this info, Dude. You saved the day for me. I had to come up with a waterfall name because BettyBoop wants a photo of one I shot here. So, henceforth and forever after I'm callin' it Sueyoshi Waterfall even if it dries up when it ain't raining ! Fantastic place! We even saw a tree filled with Komori there! Alexis, Sueyoshi Park is one of the best well hidden treasures in Naha City. I'm glad you got the chance to visit it. It's great to get lost around there!! !